My friend and I stayed at Hideout in March. The staff was extremely kind and gave gay advice for things to do. Even saw Michael at the pub one evening! The en suite in the girls room was perfect. Best hostel I’ve stayed at yet! Amazing place to relax or to walk around the city. Great staff great accommodations. 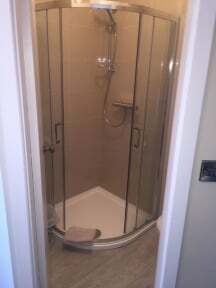 Walking distance to middle of town. Would highly recommend it. Two friends and I stayed overnight at The Hideout Hostel and took three double rooms. It is a gem of a place. 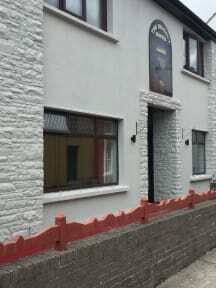 It is right in the heart of Dingle and walkable distance to everywhere,. The rooms are comfortable and spotless with plenty of sockets, and a spacious en suite with plenty of hot water for a bath or shower. Radiators are adjustable. Our host could not have been more helpful. With a light breakfast included, €50 winter rate per night is a real bargain. Highly recommended. Everything was great- thanks to Michael for all that he did to make my stay comfortable, safe and knowledge of what to do and where to go eat while I was in Dingle. I had a lovely stay at th Hideout, it was quiet, clean, comfortable and safe. I will definitely be returning to the hideout in the future! Also the breakfast and coffee was delicious! This hostel was a pleasant surprise. Overall it was comfortable and clean. Staff very friendly and helpful. the only drawback is that the walls are a bit thin so earplugs do come in handy if you are a light sleeper. A nice breakfast is offered in the morning and an eating area is provided if you are doing take away for dinner as well. The common room was comfortably set up. Centrally located to pubs and shopping though parking can be a bit tricky. Would definitely stay again! Perfect location! Comfortable beds. Great wifi. Lots of hot water. Kitchen very adequate for cooking any meal you want. Michael gave fantastic suggestions for places to go. He was a very gracious host.